The calendar is filled with days we love celebrating including New Year’s Day, Independence Day, and Thanksgiving Day to name just a few. There are other days that are vitally important, but that we wish there wasn’t any need to mark. June 15, World Elder Abuse Awareness Day, is one such day. 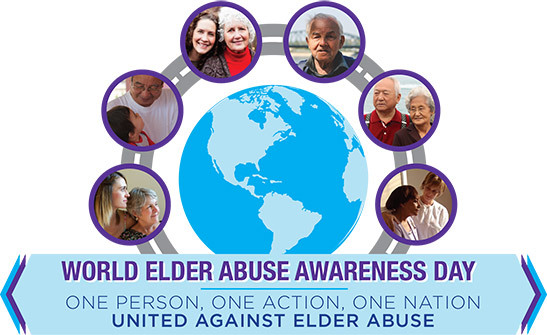 It is a day to remember the victims of an ever-increasing, worldwide epidemic of elder abuse. It is not a happy day, but it is one that is important to remember because our San Francisco elder abuse law firm knows that awareness is a key part of fighting this terrible wrong. According to the Administration on Aging’s National Council on Elder Abuse (“NCEA”), World Elder Abuse Day (“WEAAD”) was launched ten years ago by the World Health Organization at the United Nations. WEADD is intended as an opportunity for communities across to globe to work together to advance a better understanding of the problems of abuse and neglect facing older individuals. According to the NCEA, some 5 million older Americans are victimized each year by some form of abuse, neglect, or exploitation. This number is likely a gross underestimate; experts believe that for every case that is reported, up to 23 go unreported. Financial Abuse/Exploitation – A victim of financial abuse may lack amenities the person should be able to afford, may “give” uncharacteristically large financial gifts/payments to others, or may have signed suspicious documents (e.g., power of attorney, wills, etc. ), including documents the person is unable to fully comprehend. Often, a caregiver has control of the victim’s money, but fails to provide for the person’s needs. Neglect – Signs include lack of adequate food, appropriate/clean clothing, basic hygiene, or necessary medical aids (e.g., medications, glasses, walker, etc.). A victim may be left in bed without care or a person with dementia may be unsupervised. A victim’s place of living may be dirty, in disrepair, lacking basic facilities (e.g., power, running water, bathroom facilities, etc. ), or otherwise dangerous. Untreated bedsores are an additional sign of neglect. Physical/Sexual Abuse – Signs include unexplained or inadequately explained injuries such as bruises, sores, burns, or fractures. In some instances, a victim of sexual abuse may contract an unexplained sexually transmitted disease. Psychological/Emotional Abuse – A senior suffering this abuse may exhibit unexplained/uncharacteristic changes in behavior including a withdrawal from typical activities. A caregiver may be overly controlling, verbally aggressive, demean the victim, or be cruelly uncaring. Often, the abusive caregiver isolates the victim. Elder abuse can occur anywhere. It can happen in the home, in a nursing home or other care facility, or in another community setting. Perpetrators include family members, friends, and paid caregivers. Elder abuse impacts people across racial, ethnic, gender, and financial lines. Awareness is one important tool for preventing elder abuse. It is also important for anyone who suspects someone they know is being abused to take action. The NCEA website includes a wealth of materials and additional information can be found via the National Institute of Health’s MedlinePlus Elder Abuse topic page. Our law firm is also committed to helping the victims of elder abuse and preventing the epidemic from continuing. We can help seniors and/or their loved ones report abuse and fight back, including in cases of nursing home abuse. We can help victims get away from abusive situations and help them recover the financial compensation that can lead to a better tomorrow. Call our elder abuse and nursing home abuse lawyer in Oakland, San Francisco, or Santa Rosa for a free consultation.